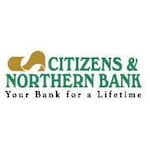 Citizens & Northern Bank is ready to work with there to tailor a loan to their customers personal or business situation. Citizens & Northern Bank offers consumers a diverse selection of products and services such as checking and savings accounts, CDs, money markets, and IRAs for every income and every age range. At Citizens & Northern Bank, they are committed to helping their customers manage their account or businesses - big or small - more effectively and efficiently, so customers will have more time to do what they do best - manage their finance and run their business. Their mission is to create value through lifelong relationships with their neighbors in Pennsylvania and New York. The way the credit card market is these days, with new consumer protection laws, just because you haven’t heard of a particular bank or its not one of the big boys doesn’t mean it can’t offer a good credit card, even the best for your needs. That’s the kind of approach you should bring to evaluating the Citizens & Northern Bank Visa Platinum Card. 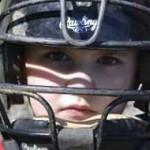 Don’t dismiss it offhand because if it has the best terms, it has the best terms. First of all, the Citizens & Northern Bank Visa Platinum Card doesn’t offer rewards. It does offer 0% on purchases and transfers for 12 months though. That’s about it. Unfortunately, that means the Citizens & Northern Bank Visa Platinum Credit Card isn’t a very competitive option after all. Plenty of cards on the market now offer 0% on purchases and transfers for longer than 12 months AND have some form of rewards, modest or otherwise.